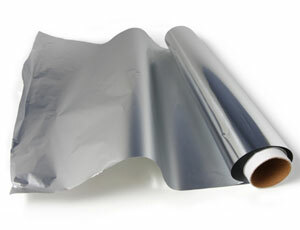 Let’s look at Aluminum; it’s sources and concerns. It is found in aluminum cookware, aluminum foil, American cheese, antacids, commercial table salt, antiperspirants, baking powder, buffered aspirin, ceramics, lipstick and nasal sprays just to name a few. We are being contaminated on a daily basis with the products that are made available to us. Over time aluminum can accumulate in your body and this is when problems begin. Aluminum toxicity has been related to such illnesses as anemia, osteomalacia (brittle or soft bones), glucose intolerance and possible cardiac arrest. It’s more serious implications are neurological dementia and its role in Alzheimer’s, Parkinson’s and Lou Gehrig’s disease. Even though you may never develop these diseases or problems or think you won’t, aluminum is often related to and a possible cause of these and other problems. So why go there and find out the hard way. Start eliminating aluminum from your life.